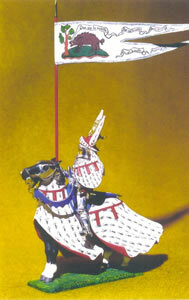 Ø Currently lives in Dover, New Hampshire, where he has been residing since 1970. 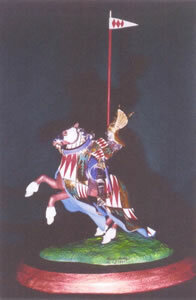 6.Full time work in sculpture 1970 —- First commissions through Boston jewelers and antique dealers Shreve, Crump, and Low Co. 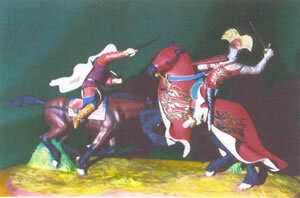 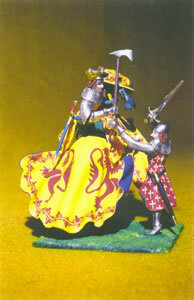 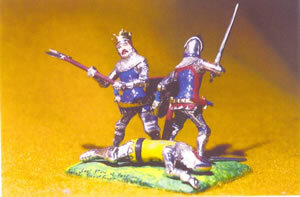 These 50mm figures below are designed to complement Courtenay collections. 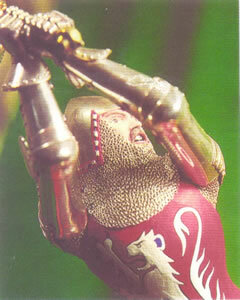 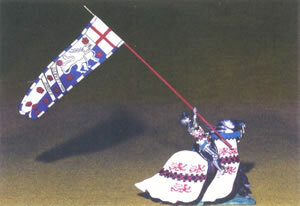 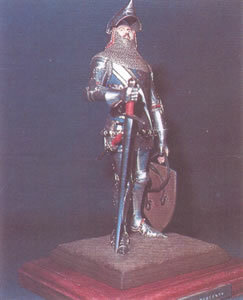 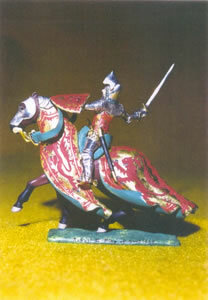 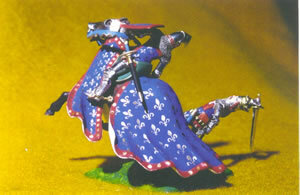 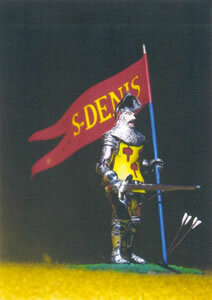 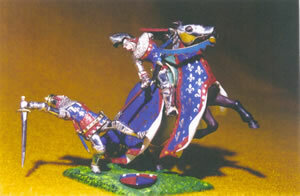 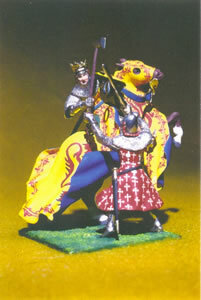 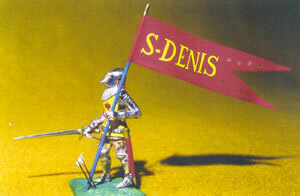 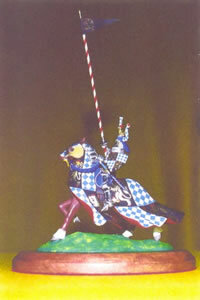 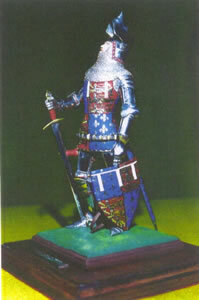 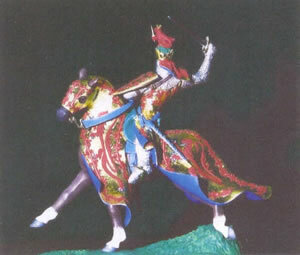 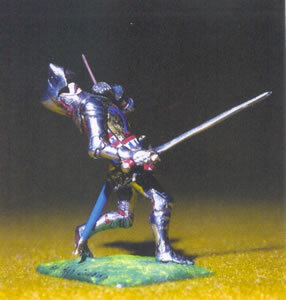 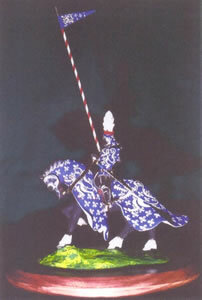 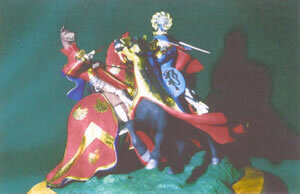 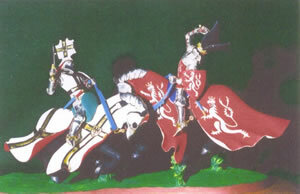 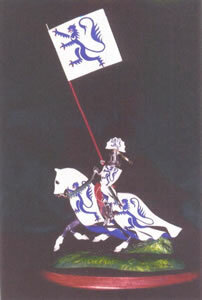 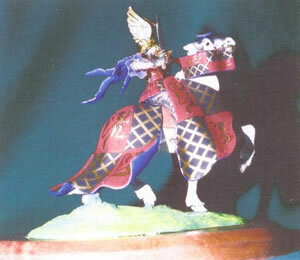 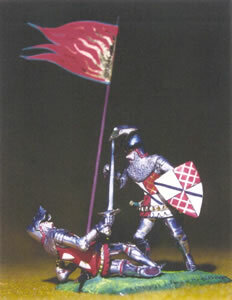 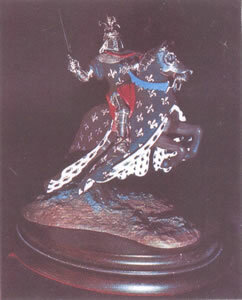 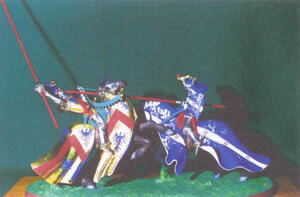 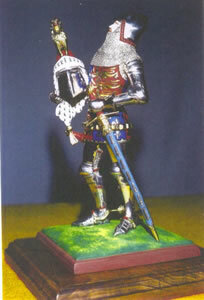 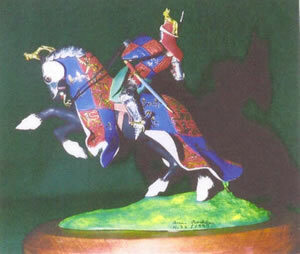 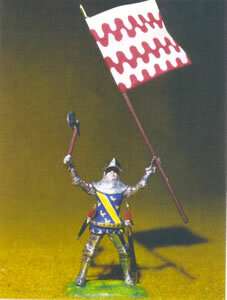 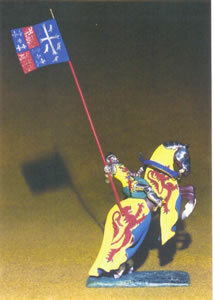 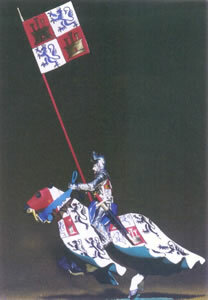 The unique feature of this line involves a concept where the collector not only has his choice of coat of arms but the pose of the knight he envisions as well. 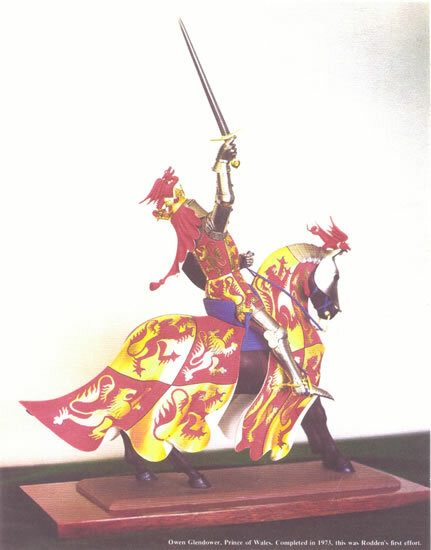 This means that you can have a figure made to your specifications or you can choose from new sculptures being introduced on a regular basis. 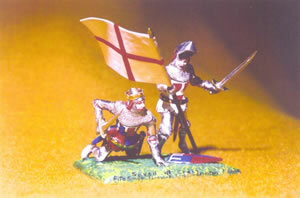 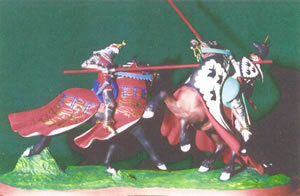 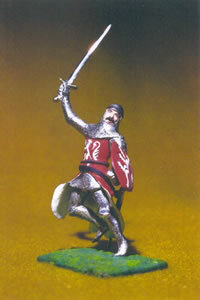 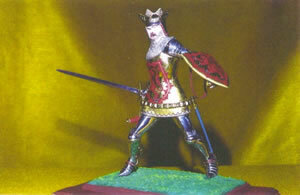 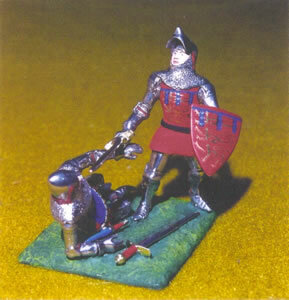 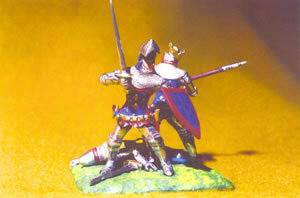 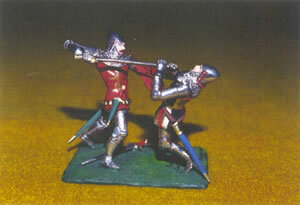 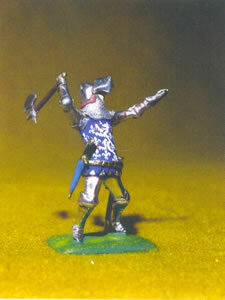 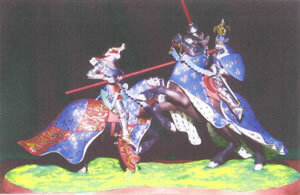 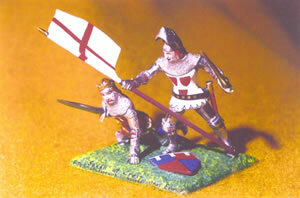 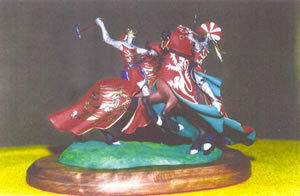 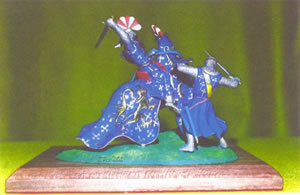 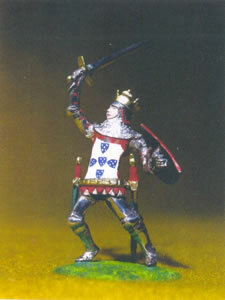 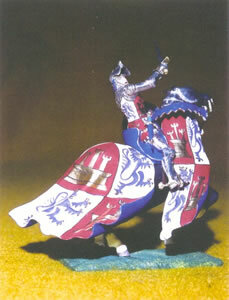 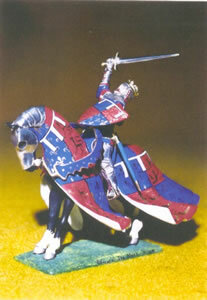 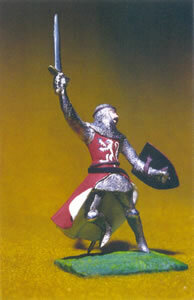 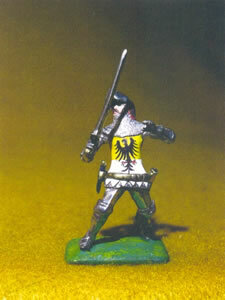 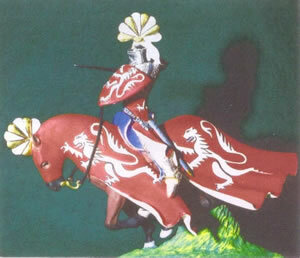 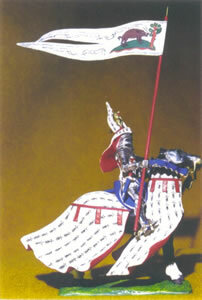 Like the larger knights above, they are cast in fine pewter with highly polished rather than painted armor. 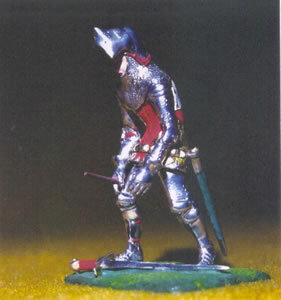 The name of the knight is on the top of the base. 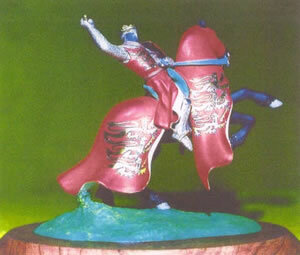 My signature, date of completion and figure number identifying the pose is on the bottom of the base. 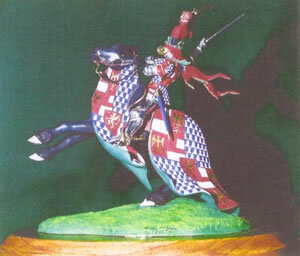 Variations in price are determined by the work involved in painting the coat of arms. 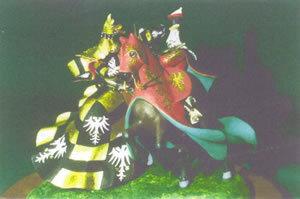 Full consultation & quotations gladly given.